We resort to violence much more often than any other economically advanced democracy. This is the path our country has chosen. It doesn’t have to be this way. 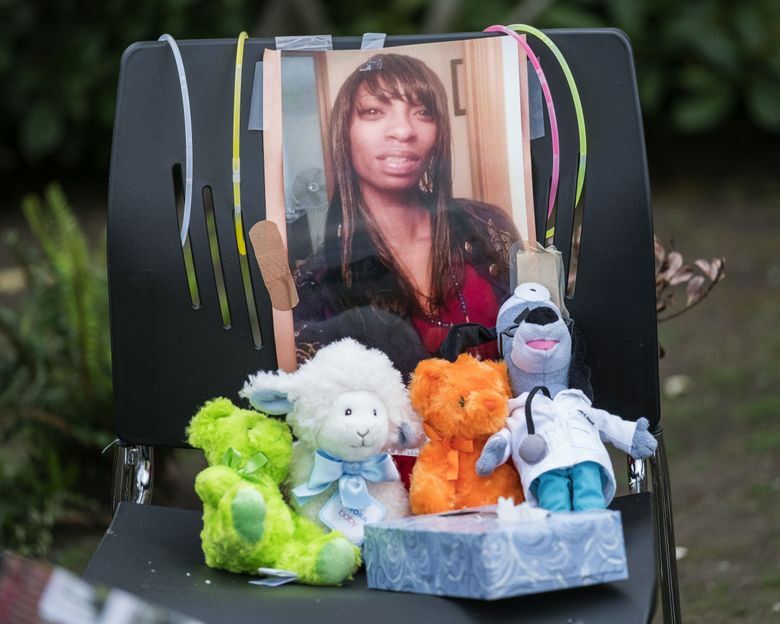 We were 169 days into 2017 when Charleena Lyles was shot and killed by Seattle police officers Sunday. 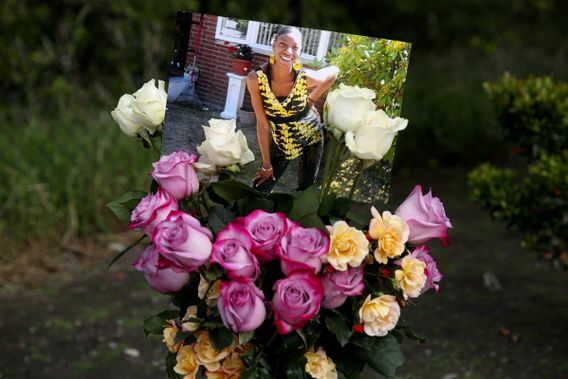 She was the 451st person killed by police in this country in those 169 days. This is one of the ways in which America is an exceptional nation. There are times when the police are justified in using force. There are times when clearly they are not, as in the case of Philando Castile, a motorist who was just going about his business when he was pulled over and shot dead. And then there are times when police shootings happen because the police aren’t equipped to deal with people who have been failed by other systems, which seems to have been the case Sunday. The U.S., unlike most other countries with means, doesn’t provide equal education, sufficient family support or universal health care, including mental-health care. Drug treatment is spotty. But we do spend money on police. It’s a choice that results in the criminal-justice system addressing issues with the limited tools it has. Imprisonment and conflict are our answers to people in need of some other solution. Lyles was apparently one of those people. We don’t know everything that happened in that apartment, but I do know that mental distress should not to be treated with a gun. Lyles called the police for help Sunday morning and told them her home had been burglarized. Two officers were dispatched to her apartment, and after a few minutes of discussion, the tone of the encounter changed. On a recording of the incident, Lyles can be heard saying something to the officers. The police say she had two knives. The officers repeatedly tell her to get back, and then there is gunfire. Lyles was the mother of four children. She was described as a good worker, but at some point she became unemployed and homeless. She lived in housing for formerly homeless people and was getting some kind of counseling. Family members told reporters Lyles was pregnant and had said she needed help because she was suffering from depression. I’d say that’s a short list of the institutions that failed. But as a community, we usually only notice when the final failure ends in violence. Even so, it’s only in recent years that we’ve tried to change how that last part plays out. People with cellphones have focused public attention on shootings by police, shootings that disproportionately affect black people, Latinos and Native Americans. But even a white person in America has a greater chance of being killed by police than in Europe because European police kill so few people at all. The Washington Post, filling a vacuum in government information, has been tracking deaths by police, compiling a national list. There were 452 as of Tuesday. Just this month in our state, before Lyles, police shot and killed someone in Vancouver June 6, in Auburn June 10, and Burien June 14. The British newspaper, The Guardian, compared fatal police shootings in the United States to those in other countries, mostly using data from the first half of 2015. • There were more fatal police shootings in the first 24 days of 2015 in the U.S. than there were in the previous 24 years in England and Wales combined. • Iceland has had one fatal police shooting in its history. • Canada averages about 25 fatal police shootings a year. California, with a similar population, has well over 100 a year. • Police in Finland fired six bullets in 2013. Police in Pasco fired 17 bullets in the 2015 fatal shooting of Antonio Zambrano-Montes, a Latino laborer who had a history of mental-health problems. To avoid being exceptional in that way, we need a mental-health system that can help people before they wind up in a confrontation with police. And we need to rethink what we want from police, so that they are better able to deal with people regardless of their mental state. The U.S. Department of Justice has been investigating departments that appear to use excessive violence and negotiating agreements for changes in training and culture. Seattle has such an agreement, and there’s been improvement, but the Lyles case suggests more is needed. The officers discussed Lyles’ prior history before entering the apartment, but didn’t seem prepared for her behavior. Neither officer had a Taser, and neither used pepper spray, another potentially nonlethal alternative. The officers didn’t seem to use de-escalation tactics. How the community deals with police shootings determines how many we will have. The community sets the standards for what is acceptable, and that has been a lax standard. Two days before Lyles was killed, a jury acquitted the officer who killed Castile of manslaughter, despite shocking video of the shooting. Wednesday, a Milwaukee jury cleared an officer in a questionable shooting there. In this state, it is nearly impossible to convict a police officer for a fatal shooting because the prosecution has to prove evil intent. Community groups are considering filing an initiative that would change the law. According to The Washington Post data, Castile was one of 963 people killed by police last year. It’s looking like we might match that number this year and remain exceptional in a very bad way.